A Cox’s Creek resident, Mr. Beverly Lee DeBell, age 88, went home to be with his heavenly father on Thursday, October 25, 2018 at Green Meadows Nursing Home in Mt. Washington. He was born on December 19, 1929 in Bardstown and was the 8th child in the line of 10 children to the late Cloud Sr. and Hallie Wilson DeBell. 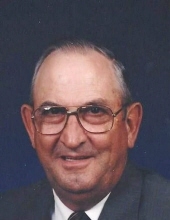 Beverly was retired from General Electric, a member of Riverview Baptist Church where he was a former deacon and trustee. He was a 65 year member of Jeffersontown Masonic Lodge #774 and an Army veteran of the Korean Conflict. Besides his parents he was preceded in death by a sister, Elsie Anderson, 6 brothers, Marvin DeBell, Cloud DeBell,Jr., Samuel DeBell, Rev. S. Woodrow DeBell, M.A. DeBell and Eugene DeBell. He married Bertha Lea Cox on June 4, 1955. They were blessed with 63 years together and 3 children. Daughters, Rhonda Louise DeBell (who died at birth) Cynthia DeBell Price Lindell (Larry) of Cox’s Creek, son, Steven Lee DeBell (Rhonda) of Jeffersontown. Very proud grandparents to Sarah Lea Price and Emily Jo Oliver Price. Ecstatic great grandparents to Mark, Cole and Clay Durbin. They were the joy in their lives for the past 7 years. Surviving siblings are 2 brothers, Rev. Jerry DeBell(Diane) of Alabama, and Rev. Richard DeBell (Grace) of Morningview, KY., along with many nieces and nephews. Beverly was beloved by his entire family and extended family. Funeral services for Mr. Beverly DeBell will be Saturday, November 3, 2018 at 10:00am at the Houghlin-Greenwell Funeral Home with Brother Charles Frazier officiating. Interment will be in Highland Memory Gardens. Visitation will be Friday from 2:00-8:00pm and Saturday after 8:00am at the Houghlin-Greenwell Funeral Home, 1475 New Shepherdsville Road, who is in charge of arrangements. The family request that expressions of sympathy take the form of contributions to Riverview Baptist Church Building Fund. To send flowers or a remembrance gift to the family of Beverly Lee DeBell, please visit our Tribute Store. "Email Address" would like to share the life celebration of Beverly Lee DeBell. Click on the "link" to go to share a favorite memory or leave a condolence message for the family.